The DOK.fest – Int. Documentary Festival Munich becomes 30! Philipp Ernst will play the music for this special birthdayparty. 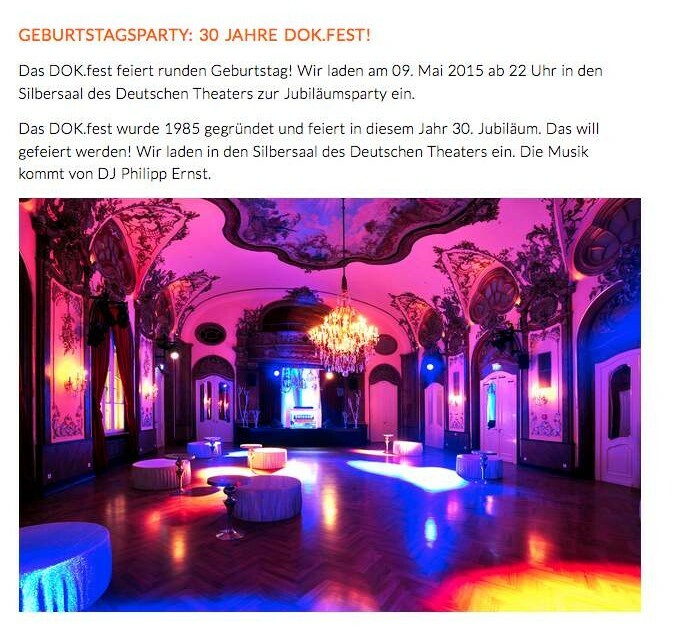 Save the date: 09th may 2015 @ Silbersaal – Deutsches Theaters Munich.